At the Transportation Center, we’re all about people powered transportation, so we’re obviously very concerned about keeping pedestrians, bikers, and skateboarders safe. 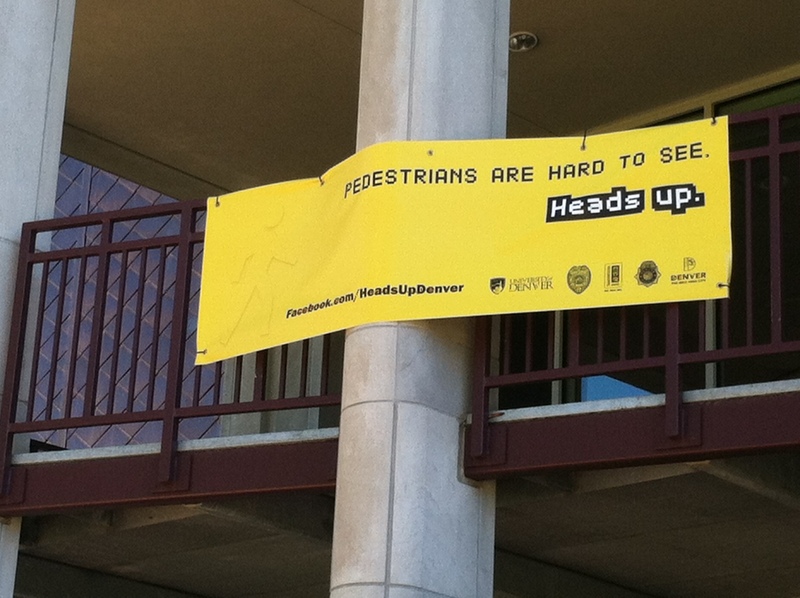 That’s why we’ve been working with the City of Denver, Undergraduate Student Government, Campus Safety and Marketing and Communications to bring the Heads Up campaign to the DU campus. 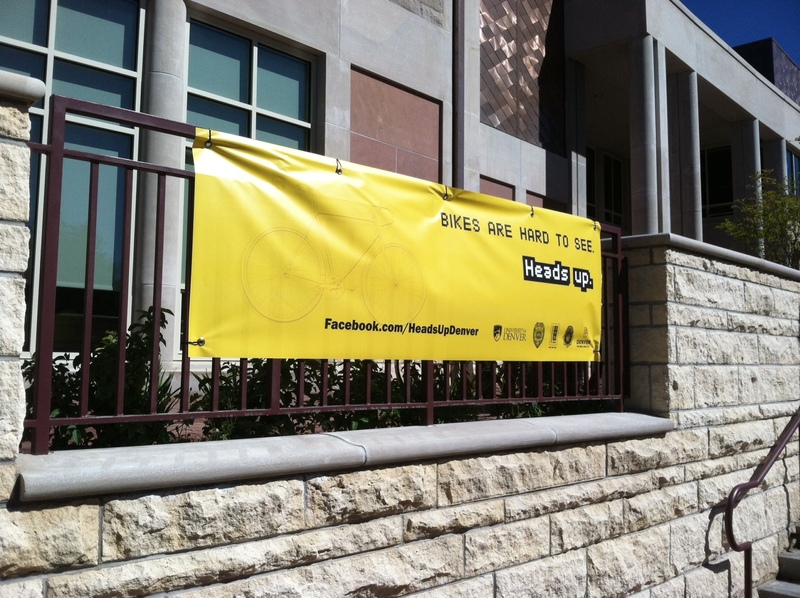 The Heads Up campaign was kicked off by the City of Denver on May 8th. More here: http://www.denverpost.com/politics/ci_23203369/denvers-rise-crashes-turns-focus-walkers-cyclists-drivers. On the DU Campus, the Heads Up campaign has just begun. In this first phase of the campaign, we’re focusing on Education and Enforcement. Variable message signage will make drivers aware of increased bicycle, pedestrian, and skateboard traffic in the DU neighborhood, and the Denver Police Department will be stepping up enforcement around campus. Banners, posters, educational videos and safety cards geared toward pedestrians, cyclists, and skateboarders will promote awareness of surroundings and simple things that can increase safety, like using crosswalk buttons. Now that the first phase is launched, we will be focusing more on the third “E” of traffic safety, Engineering. If you’re interested in being part of the discussion, please contact us at du@transolutions.org.